Presenting another innovation from San Jamar. Sometimes electronic technology leaves something to be desired, like paper towels. In many washrooms, there is no substitute for solid, hard-working lever dispensers from San Jamar. The San Jamar family of lever-operated dispensers features aesthetically pleasing designs, reliably functional operation, and time-tested technology to deliver excellent dispenser value. 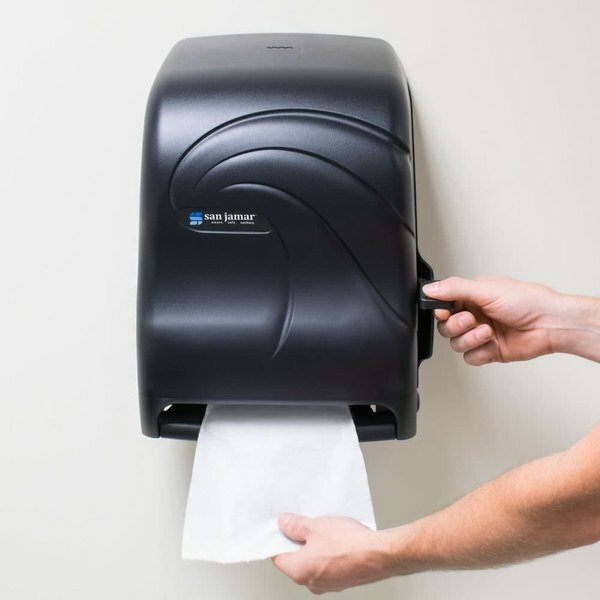 A San Jamar lever dispenser provides a simple, versatile way to ensure paper availability and you’re ensured of consistent paper delivery time after time, minimizing waste. 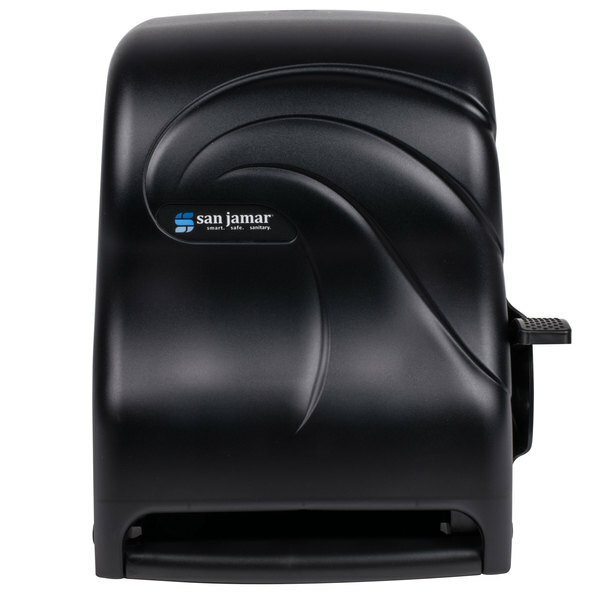 Plus, San Jamar dispensers are universal so you’re free to choose the paper that best fits your budget. 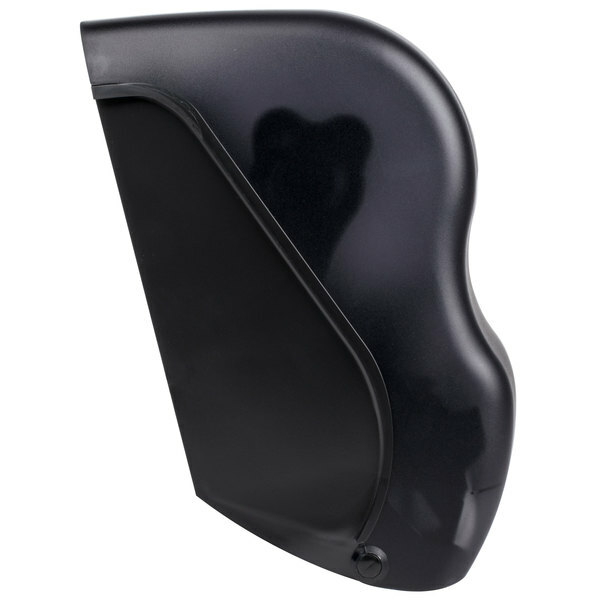 With fewer internal parts, they’re simple to use and load. 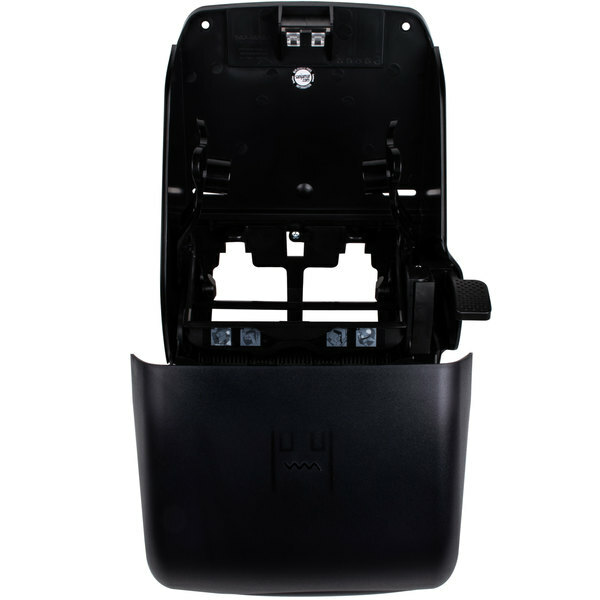 The drive module is replaceable for easier maintenance. The automatic transfer stub roll feature provides complete paper utilization to reduce paper costs even more. 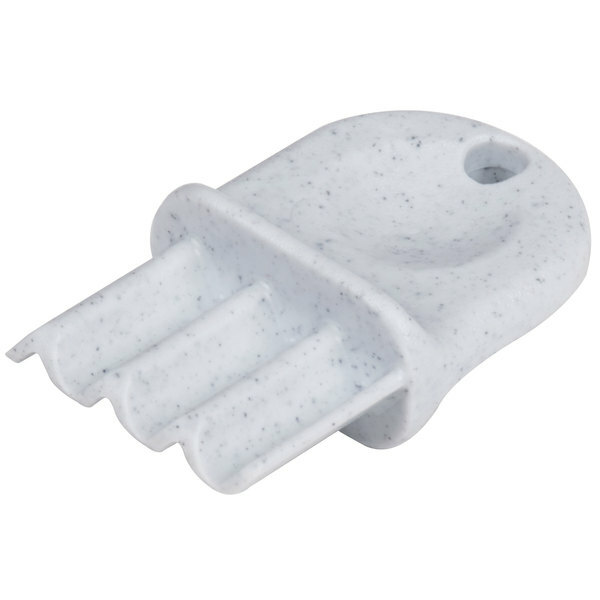 The San Jamar element dispenser provides high capacity in a compact design. 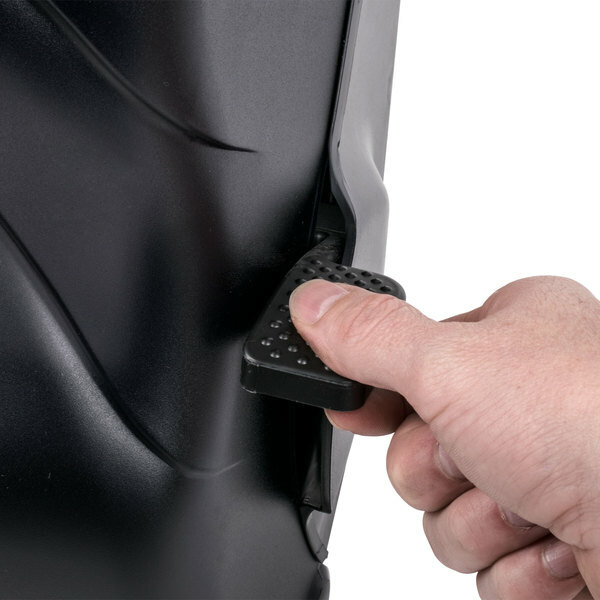 Its unique, ergonomic handle is easy to use and it fits in spots where other dispensers won’t. The innovative San Jamar Integra model is not only easier to load, its integrated front dispenser arm minimizes installation space and it’s a hygienic, hands-free alternative because you can use your wrist or arm to dispense paper. Also, San Jamar dispenser levers have been treated to inhibit bacteria growth for extra sanitary protection. San Jamar lever dispensers deliver proven durability, attractive designs, and cost-effective operation for your facility. 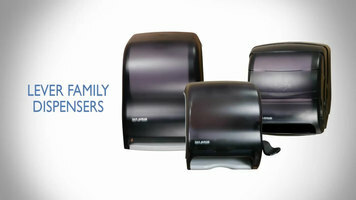 For information on these and other smart dispensing products, visit sanjamar.com. 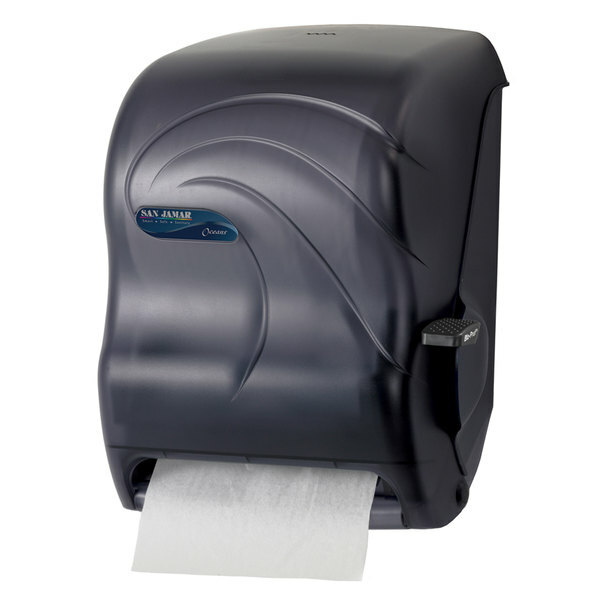 Perfect for high-traffic areas, this San Jamar T1190TBK Oceans lever roll towel dispenser not only accommodates one 8" wide roll of towels with up to an 8" diameter and a minimum 1 1/2" core diameter, but can also hold an additional stub roll up to 4" in diameter! 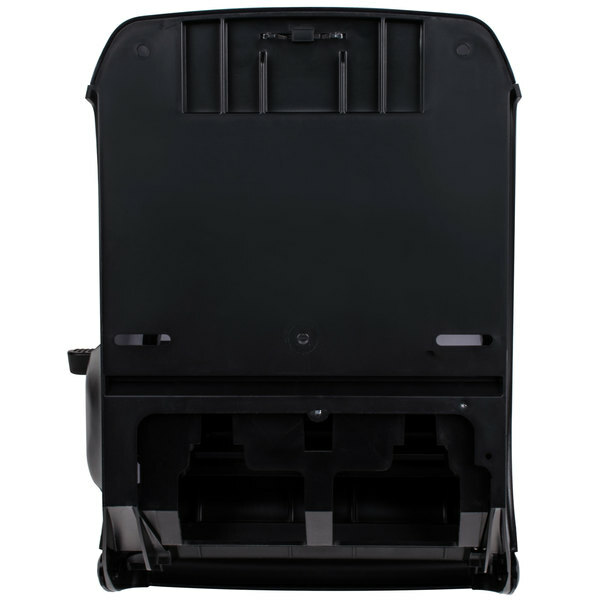 This large capacity universal dispenser easily deals any quality of paper for optimum versatility. 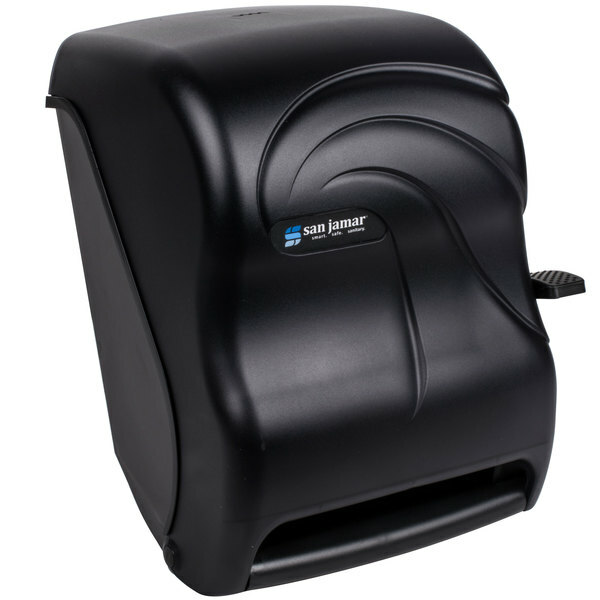 To help ensure a sanitary restroom environment, the San Jamar T1190TBK paper towel dispenser features a lever handle that is treated with a patented Bio-Pruf coating to inhibit the growth of bacteria. 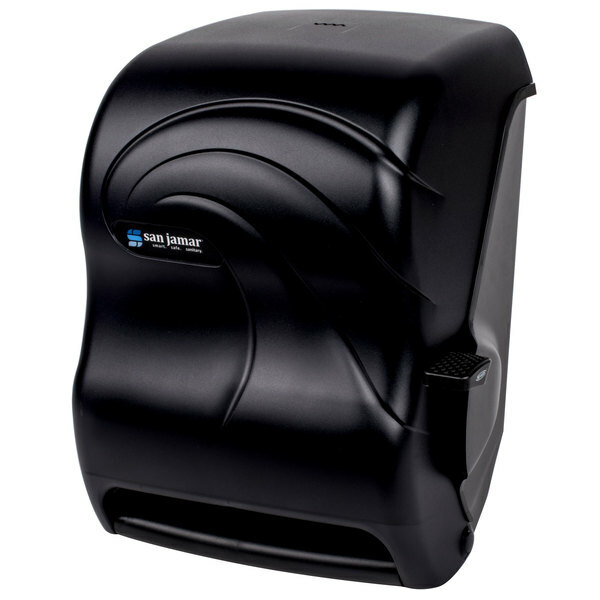 Made of durable high-impact plastic with a sleek black pearl color, this attractive dispenser gets its contemporary design from the embossed swirls that are reminiscent of an enchanting seashell or a gentle ocean's breeze.